Saw this on thursday, sry for the bad pic. Zoom on iPhone is not ideal. Not a fan of the matte paint on the roof of the 458 Spider. I'll try to keep it up! Not feeling that FF, the interior is horrible.. This one on the other hand! Have you put new rims on the FF? Dont think I've seen them before! Yes, for the summer tires the rims on the pictures I posted when it arrived are the winter rims! Might see them better on this pic! 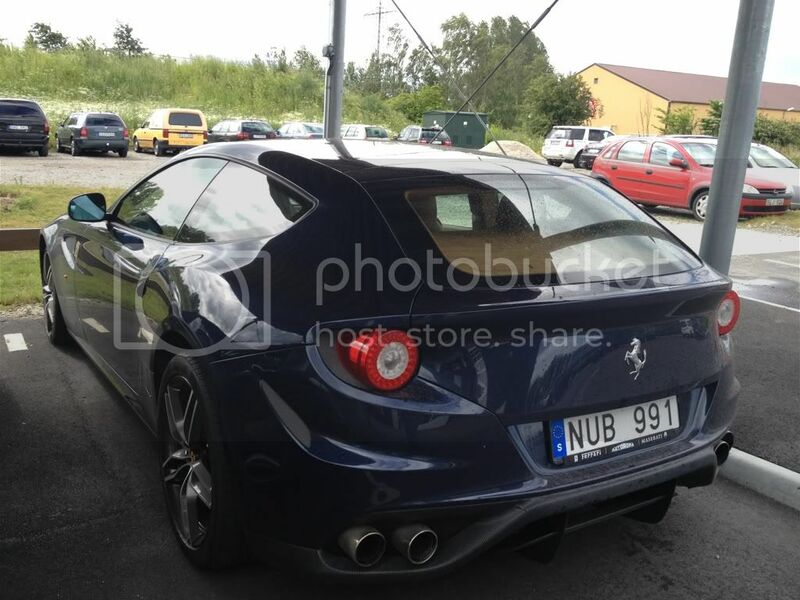 That car is sick Hampus! Were you driving a California when you took the pics, Hampelina ?